Home BAILEY MAY BARBIE IMPERIAL PINOY BIG BROTHER TELEVISION Barbie Imperial evicted, Albay Governor bans PBB 737! 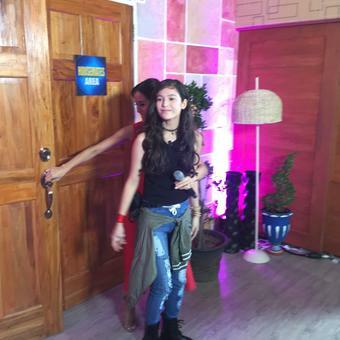 Barbie Imperial evicted, Albay Governor bans PBB 737! Barbie Imperial becomes the 1st ever evicted housemate of PBB 737, after losing to Bailey May in the public voting during last night's live eviction. I kinda expected that Barbie Imperial will be the evictee, despite having strong support from Albay Governor Joey Salceda and her fellow Albayanos. They're no match to the huge fan base of Bailey May, who's already an online sensation even before he entered the Pinoy Big Brother house. And it's evident in the voting results, wherein Bailey got a huge 62.16%, while Barbie only had 37.84%. But I'm sure Barbie, with her talent, beauty and doll-like features, she'll soon join ABS-CBN pool of artists, and be part of any of its shows. Albay Gov. Salceda however isn't looking forward to that. In his Facebook post, the governor expressed disappointment over Barbie Imperial's eviction, and decided to ban PBB for now and not watch it until the other Albayano in the house, Franco Rodriguez, faces eviction. 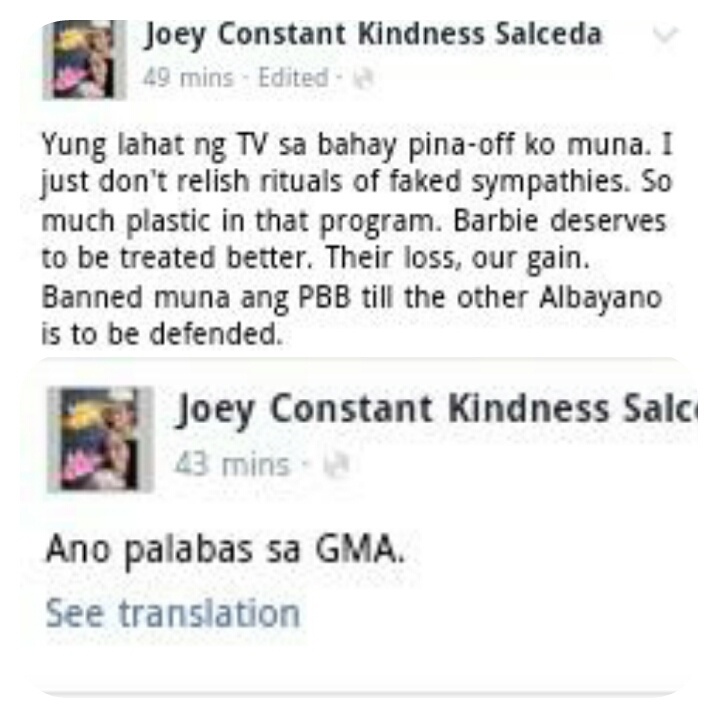 Joey Constant Kindness Salceda: "Yung lahat ng TV sa bahay pina-off ko muna. I just don't relish rituals of faked sympathies. So much plastic in that program. Barbie deserves to be treated better. Their loss, our gain. 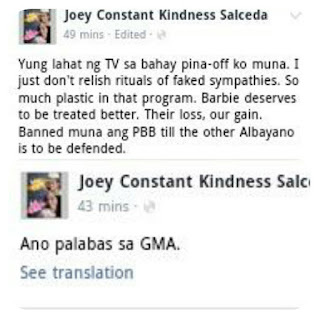 Banned muna ang PBB till the other Albayano is to be defended." He later posted a question, asking his followers about the program currently airing in the rival network, GMA 7. As soon as the Bailey May fans read his statement, they'll probably answer back, "Bumoto po ba kayo?" Meanwhile, before the eviction, it was announced that PBB 737 live streaming has been officially stopped. The decision was made following the Kenzo Gutierrez and Bailey May Bromance scandal inside the house. ""Pinoy Big Brother 737" housemates Bailey May, 12, and Kenzo Gutierrez, 18, have recently been the subject of malicious posts that have gone viral on social media. These posts are made by irresponsible netizens who maliciously take screenshots from the program's live stream and weave a narrative that is not only far from the truth, but also attempts to put the housemates in a bad light. They mislead the public by manipulating the images to put malice to otherwise innocent acts. ABS-CBN vehemently condemns these irresponsible social media posts that malign the reputation of the housemates. We are concerned with the welfare of our young housemates and it is our responsibility to protect them. We will not allow them to be subjected to cyberbullying. We will not tolerate the abuse of social media. To put a stop to this, ABS-CBN is taking a stand on the issue by shutting down the free 24/7 livestreaming of the program on cable TV and online starting tonight. We appeal to the public to stop perpetuating abuse and use social media responsibly."